“I have a woman on the line whose baby won’t stop crying, shall I put her through” the answering service operated asked. “Then you’ve made it”, she exclaimed with relief. Yes, I laughed, remembering those difficult first years of infant crying, sleepless nights and extra demands on my time. At the conclusion of the conversation, the caller confided that she felt much better having just talked and thanked me for my reassurance. This conversation really happened. It is one example of more than 230 calls which were received during the first year’s operation of PEP’s Warm Line. PEP stands for Postpartum Education for Parents and is a program designed to give free assistance to families immediately after the arrival of a baby. Parent volunteers staff the 24 hour telephone line and lead discussion groups to provide support and a place to share ideas and concerns. Unlike some clinic or hospital associated helpline services, the PEP volunteer is in his or her own home when responding to another parent’s question. PEP is the result of the personal joys, frustrations, worries, and confusion of its founding parents. I am one of these parents. Our son, Stephen, was born in 1972. His arrival was typical of the times; a planned pregnancy and prepared childbirth with my husband present during labor and delivery. The nine months of waiting and the birth were in complete contrast to the chaos which followed our entry into the real world of parenthood. Three days later the honeymoon in the hospital was over. We were unprepared for the reality of caring for another human being. Through trial and error (and with no one looking over our shoulders) we had to learn “on the job”, and we soon discovered that there were few concrete answers to our many questions. In order to maintain the appropriately joyful aura of new parents, we bottled up our continuing sense of panic and kept on smiling. At Stephen’s two week check-up he had not gained any weight and an inguinal hernia was discovered. His ignorant parents had noticed the bulge in his groin but thought it was (don’t laugh) his full bladder. Surgery was mentioned, supplemental bottles were added to the nursing routine and we walked out of the doctor’s office in a daze. I began to notice a pain in my stomach. Who had ever heard of a baby causing an ulcer? From then on the tension mounted. My husband knew less than I did and expected to learn from my example. It was the blind leading the blind. Stephen’s “schedule” revolved like a feverish Ferris wheel. I felt like a damp wash cloth being wrung out for the 100th time as I nursed every two hours. But who would hear my complaints and how could I describe my inadequacies? I kept on smiling in public and crying at home. I attended one meeting of an organization for nursing mothers, but when I “confessed” that I was using supplemental bottles, I felt pangs of guilt and glares of disapproval. To us our situation was unique. No where else on earth had anyone experienced what we were going through. We were so happy to have our baby and yet so troubled. Then one day my mask slipped during a conversation with a friend whose son was 3 months older than Stephen. I discovered that life had not been blissful for them either since Andy’s arrival. My goodness, it felt so good to learn that. Misery and joy love companionship, especially when new parents share their true feelings about the day to day affairs of life with a baby. Our friendship developed and led us eventually to the founding of PEP. We had heard of parent support groups organized by hospitals but there was no opportunity like that in our community. Our day dream began. Wouldn’t it be wonderful if other new parents in Santa Barbara could be spared, through sharing, some of the trauma we’d felt? By this time our second children were born. We were experiencing new problems and felt the need to share our feelings more than ever. We organized an informal group called “Mothers of Four Year Olds”. We shared our well guarded secrets with each other. Other areas of parental frustration were discussed. One of these was taking the children along to buy groceries. This is the format used by PEP Parent Discussion Groups. It allows parents to express their feelings and concerns, offers the chance for support to be given by other parents, and promotes friendship in an informal, nonjudgmental environment. A pair of volunteers guides the group but the participants determine what is discussed. Every topic from crying babies, feeding and sleeping schedules to sexuality and time for oneself are covered. Attendance at the groups exceed 550 during PEP’s first year. They meet in a volunteer’s home every other week, either morning, afternoon, or evening. The stress which accompanies being a parent is not a new phenomenon nor is it felt more acutely by ay one type of individual. Reaction to stress varies from person to person. My stomach pains are the clue to how I react, however, child abuse is the extreme result of a parent’s inability to cope with a stressful situation. Since becoming a parent, I find it easier to comprehend child abuse. I can confess to having, from time to time, very negative feelings toward my children but I would be embarrassed to call a “hot line” for emotional support. This crisis connotation is difficult for most parents to acknowledge, but a less threatening “warm line” is easier to accept. The concept of a Warm Line generates a wide scope of calls. Basic infant care, coping with sibling and toddler behavior, finding child care, whether or not to call a doctor, are just a sample of the many types of concerns which are heard by PEP volunteers. Interestingly, the majority of PEP calls have come on Wednesdays. There are many reasons why parents use the free services of the PEP program. They reflect the situations which I experienced as a new parent. PEP participants are isolated from family, unprepared for the realities of being parents, lonely for companionship and motivated to do the best job they can for their children. Most are also confused by conflicting information from books, experts and their own intuition. They are not sure how to behave toward their child, their spouse, their doctor and within themselves. Expectations also complicate the issue. The key to coping seems to be the sense of confidence which grows from day to day through actually dealing with the basics of parenting. PEP provides the setting where parents can learn to become comfortable with their role. No one is judging them. The environment is both neutral and nurturing. Parents give parents support and everyone benefits. PEP is a nonprofit, tax-exempt organization with an operating budget of $600. It has taken 1 ½ years of research and planning to develop the program design, and to write a “Volunteer’s Reference Guide” and training materials. In one year we’ve proven that it is a greatly needed service. It is with the energies and dedication of PEP’s 40 parent volunteers, including fathers and a grandmother, that such a program can exist. PEP’s founding parents have created a caring substitute for the extended family which simply does not function as it used to. 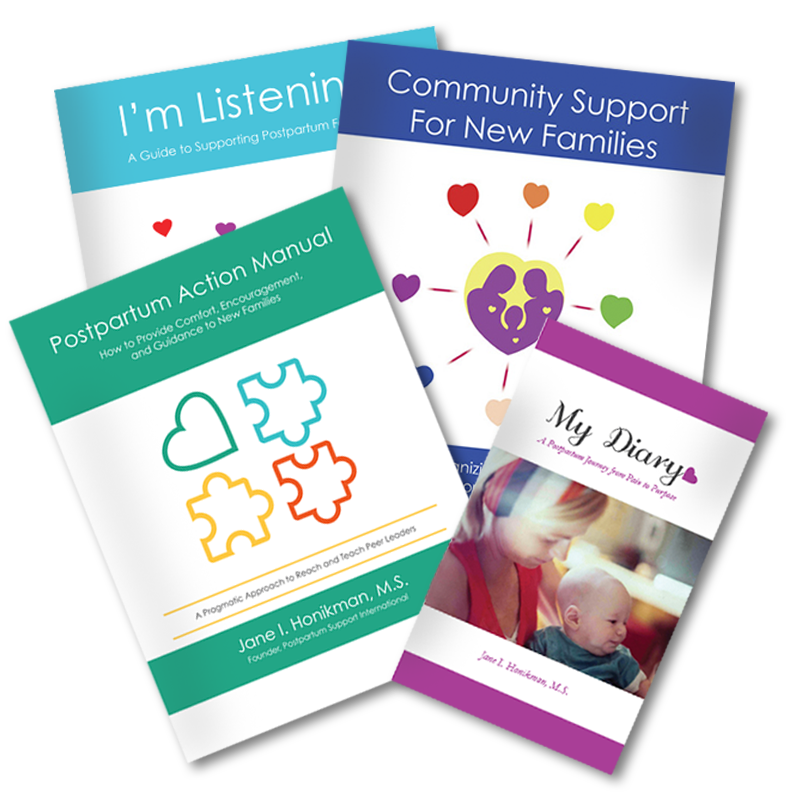 Our next goal is to share PEP with other parents across the country. We have succeeded here, why shouldn’t there be parent support groups in every community? PEP has gained national attention through a newspaper article, radio interview and a television program. The day after my participation on TV, I received a long distance telephone call from a distraught mother seeking reassurance that her feelings were not unusual. She should not have had to call 2, 000 miles to receive this support. PEP should be available to her in her own town. For me the experience of watching an idea blossom and grow has been extremely gratifying. To know that parents now have other parents with whom to share their joys and frustrations makes me smile. I remember with amusement how I cried and hugged my way through those sleepless nights and blurry days and I thank you, Stephen (age 6) and Jeanette (age 3 1/2) for surviving with me. With the continuing help of PEP we’ll make it through the many years ahead with lots of friends and emotional support.